I've got a lot a great photos that I've been amassing over the past three years of the intangible cultural heritage project, and it seems a shame to not share some of them. So, with that in mind, I'm going to start a new weekly folklore photo posting, and put a new photo up each week. 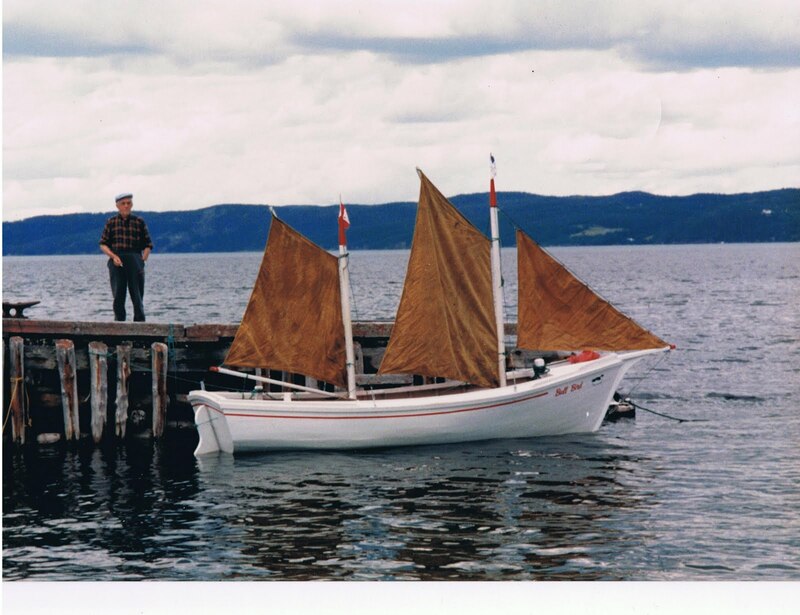 This week is a favourite, of Uncle Norman Currie with his boat model, Bull Bird, shown here at the dock in Britannia, Random Island. I'm not sure of the date on this one, but Uncle Norm passed away a few years ago, and this was one of his last model projects. One of my favourite stories about him was one I heard from Jim Roy, his nephew-in-law. Apparently, Uncle Norm had an old boat that he had made, with an inboard motor of some type. The propeller shaft had snapped, and when he was told it would cost him $100 to have it welded, Uncle Norm took a cheaper and slightly more ingenious route. He got someone with an angle grinder to smooth off the end of the shaft, then cut a foot off the stern of the boat, and rebuilt it a foot further up, shortening the boat, and allowing the shorter propeller shaft to protrude the correct distance from the back of the boat. Apparently, it worked, and the boat was reportedly even more stable than it had been before the alteration. A great example of making do with what one has. Thanks to Jim Roy, Lower Lance Cove, for the story and the photo.